Time to get your feet wet by stepping into the shoes of one Sydney Emerson, private investigator, to then wade through the filthy streets of Victorian London, in search of a ruthless serial killer! Suffice to say, solving this one will not be easy, and on top of that, not everyone in The Slaughter: Act One are trustworthy… or even remotely sane. That’s pretty much par for the course in this line of work though. Sydney’s surreal dream-world, on the other hand – less so. A dark tale awaits within, and one our poor protagonist might not even make it through in one piece. I mean, he does state in the launch trailer for the game, that this will be his last case, one way or another. Cue dramatic music, pixellated scenery and all that good stuff, as Sydney gets a much-needed change of pace from tracking down runaway doggies. Might end up being more than he bargained for, but one thing’s certain: it won’t be boring. A turn of events sees Sydney forgoing his selfish nature and thrusting himself into perilous and increasingly surreal situations, treading a fine line between dreams and reality. So chat up the locals as you poke around on the streets, in various taverns, perhaps even taking a trip to the local brothel – for investigative purposes, mind you. There’s a killer on the loose in this point ‘n click adventure, meaning such ‘side activities’ are best kept to an absolute minimum. Doesn’t mean a drink or two (or ten!) are out of the question. 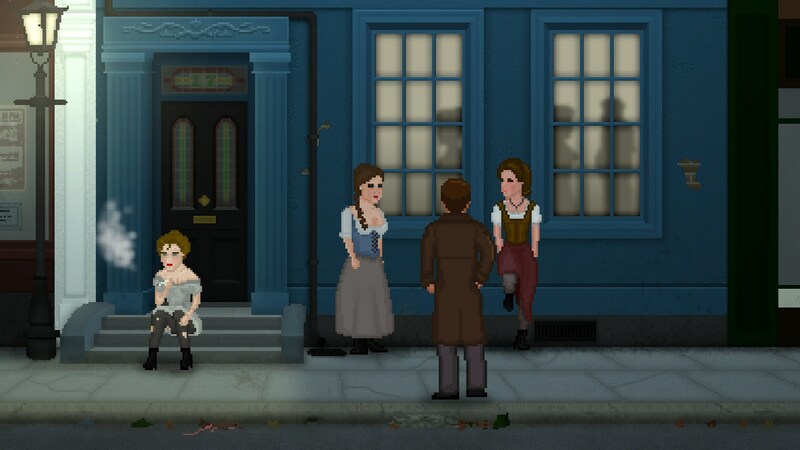 Gotta relax somehow after all, and in this [Victorian] day and age… beer is about as good as it gets. Just don’t forget about tracking down whoever is behind that mysterious murder spree in The Slaughter: Act One, alright? The Slaughter: Act One is available from Steam and Humble Store, carrying a $8.99 price tag.